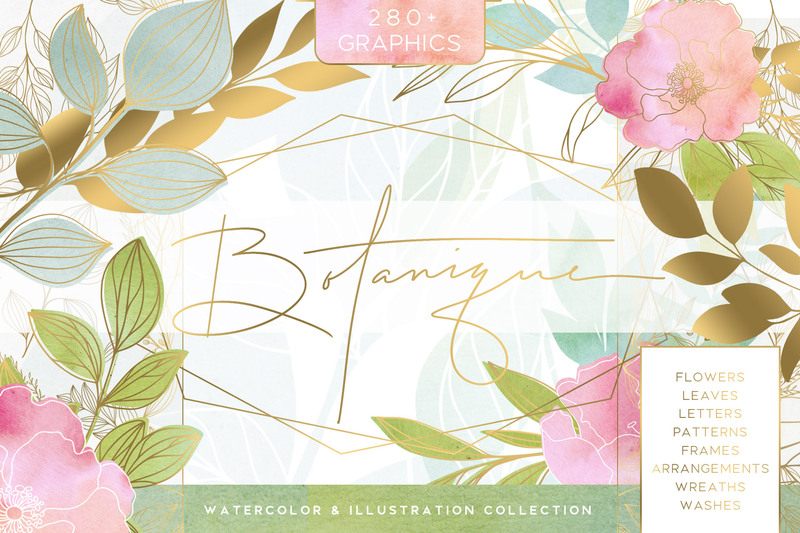 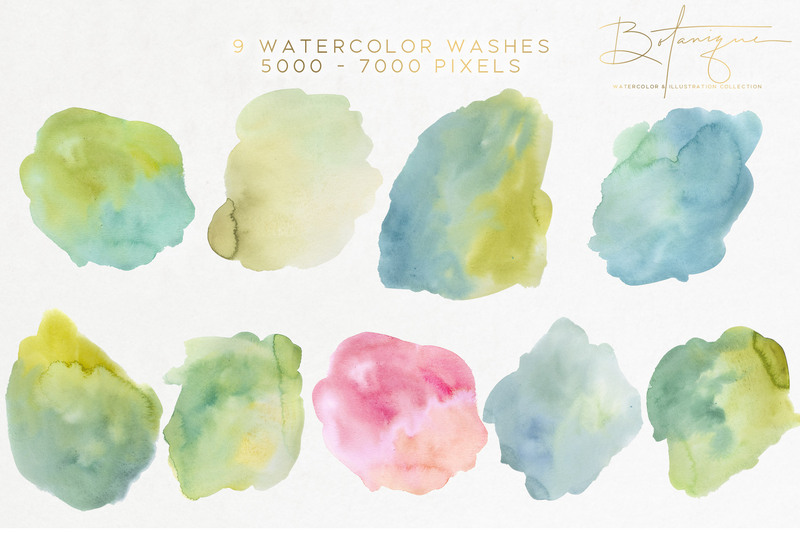 I’m pleased to introduce my newest offering Botanique Watercolor and Illustration Collection. 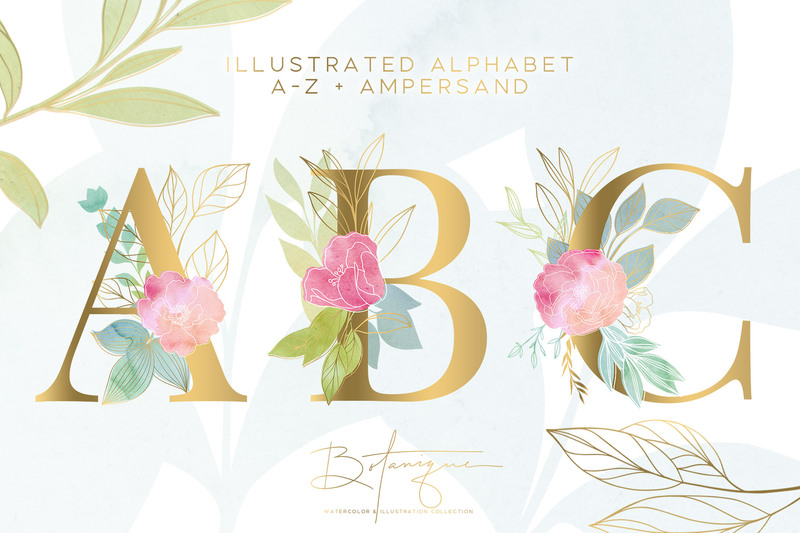 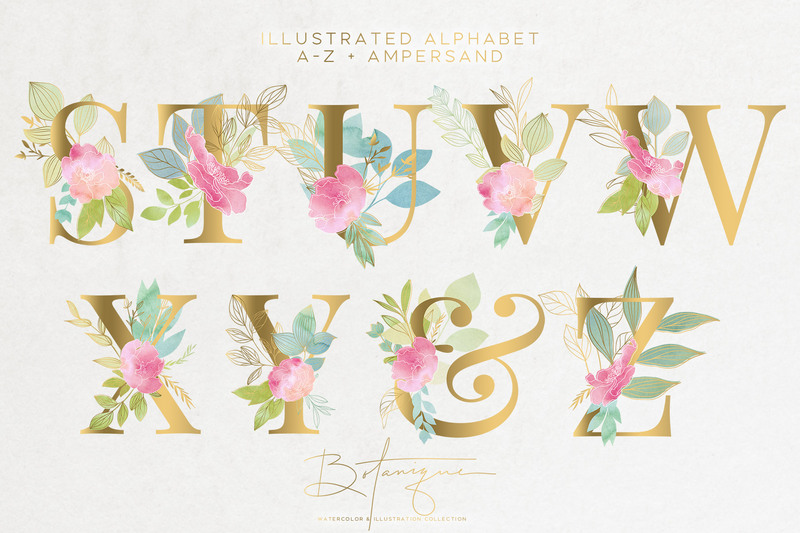 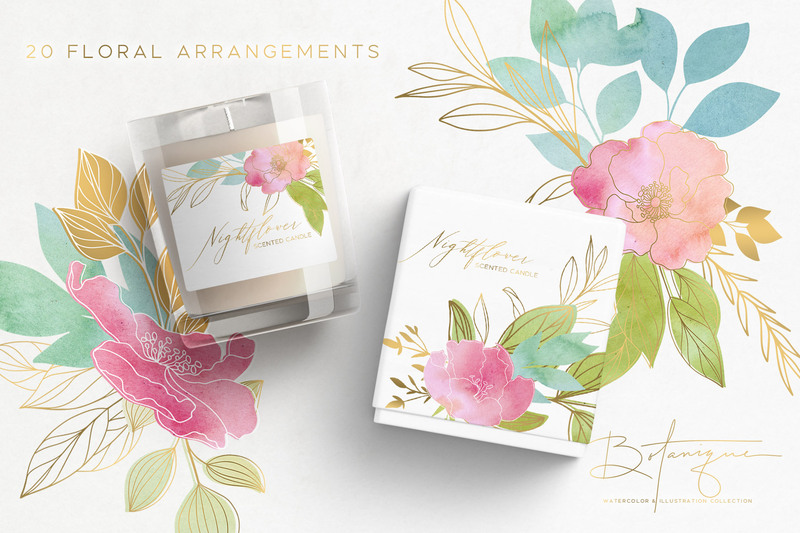 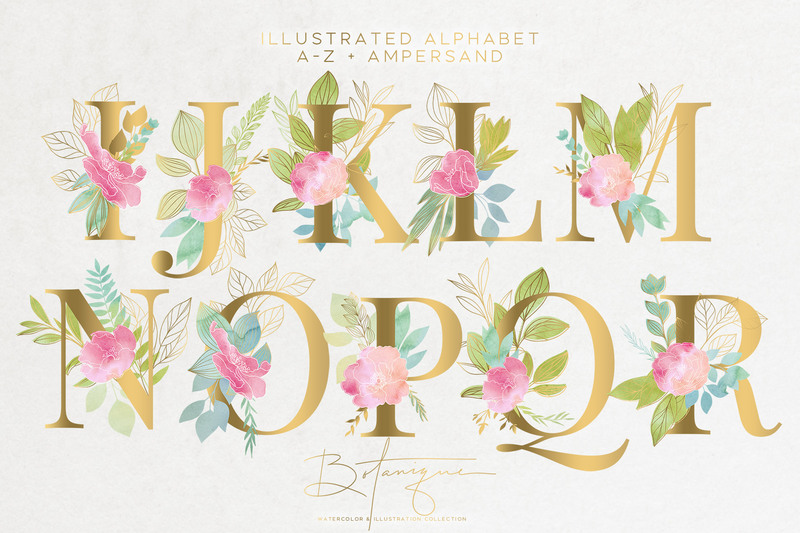 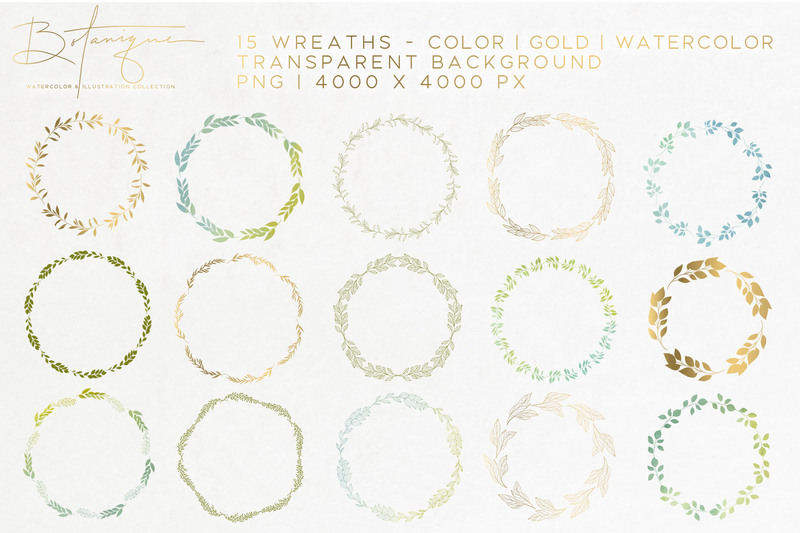 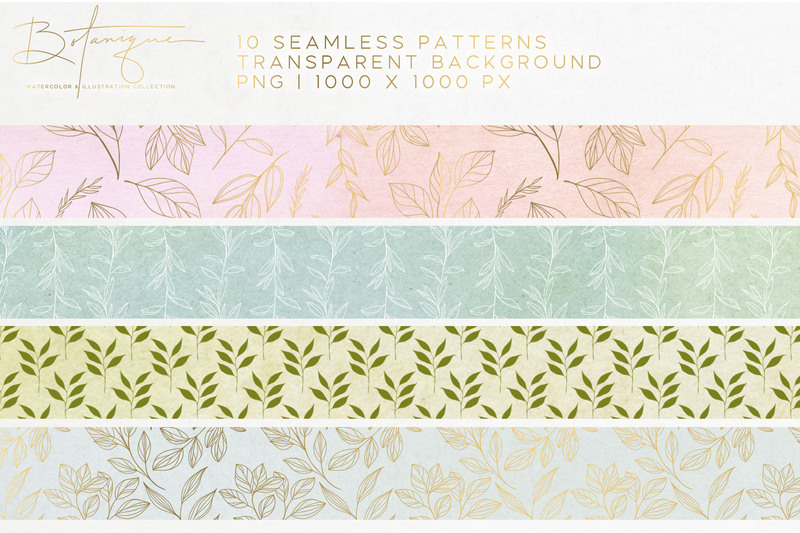 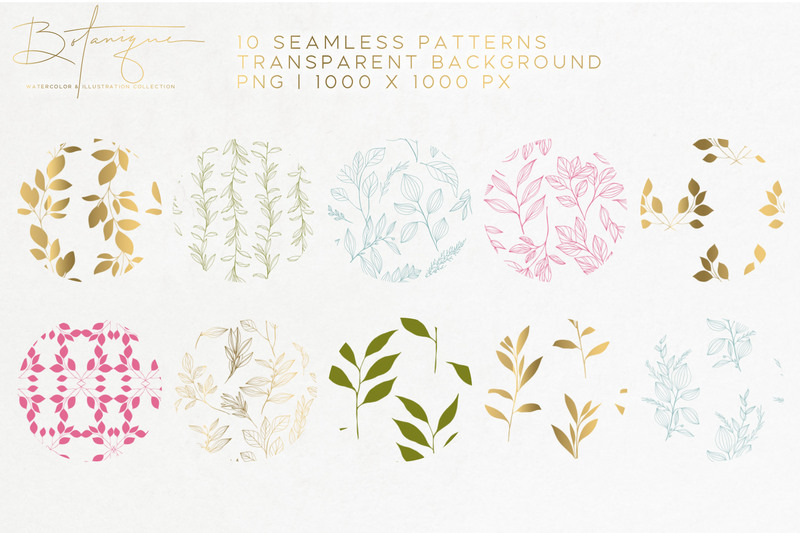 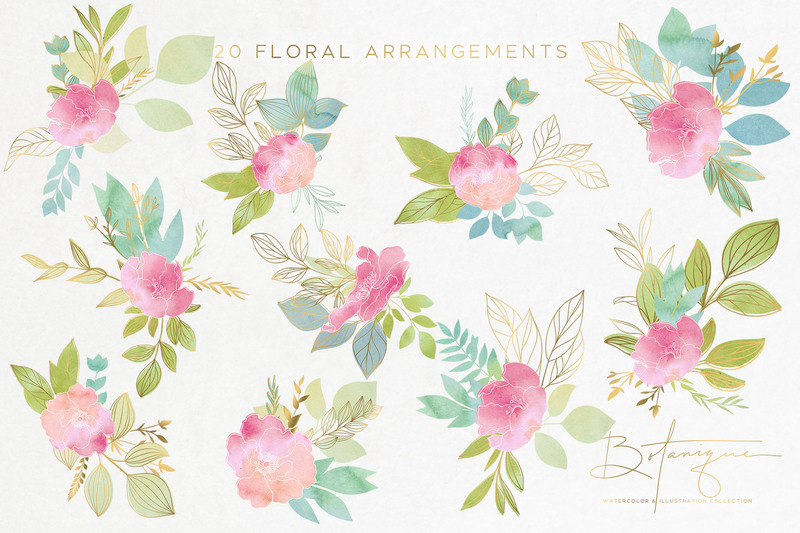 Lovely hand-drawn leaves and flowers along with watercolor washes that will help you create beautiful projects from stationery, wedding invitations, phone cases, logos, packaging, and so much more! 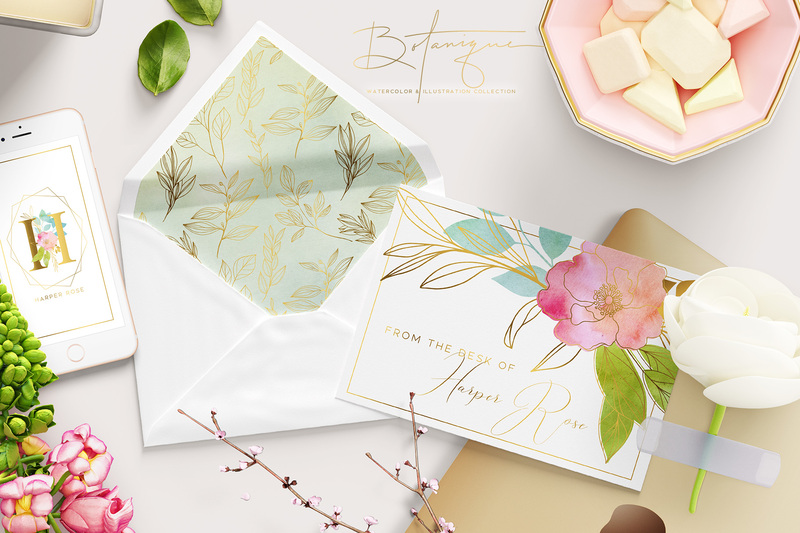 The color scheme is lush pink, peach, olive, blue, turquoise and lime and a pop of gold. 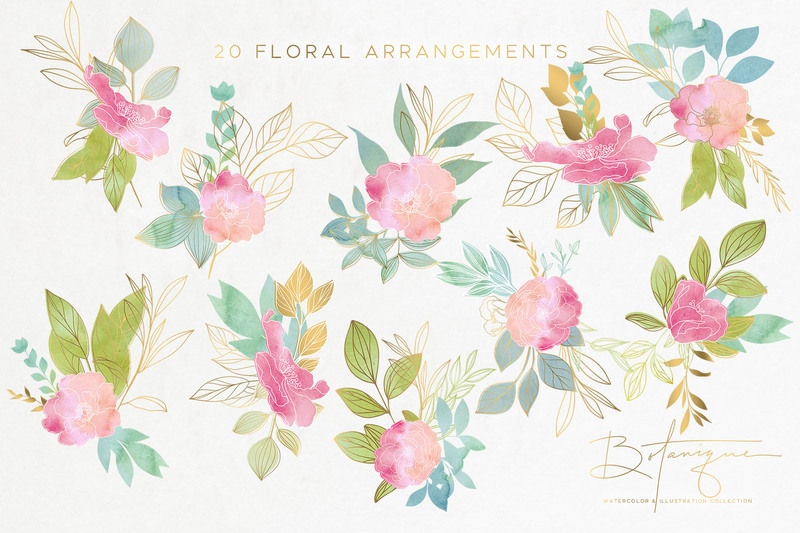 This is a gigantic kit that includes individual leaves and flower illustrations, pre-made floral arrangements, patterns, textures, wreaths, letters / monograms, frames and watercolor washes. 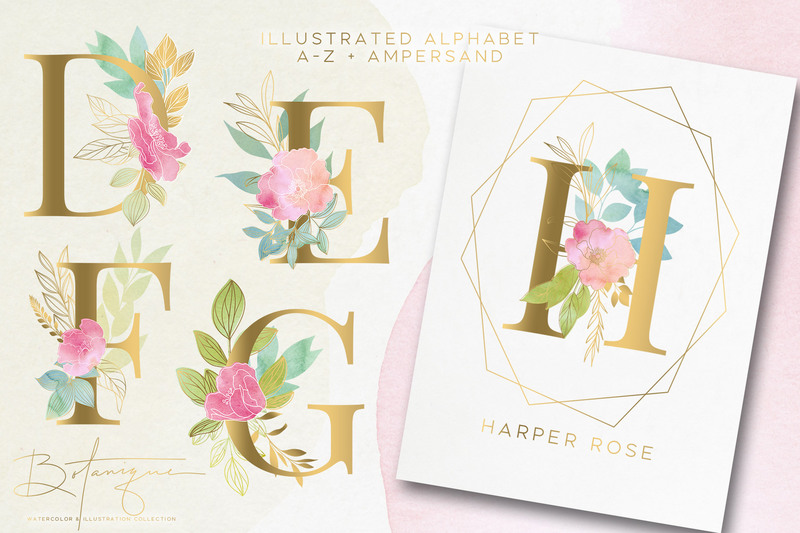 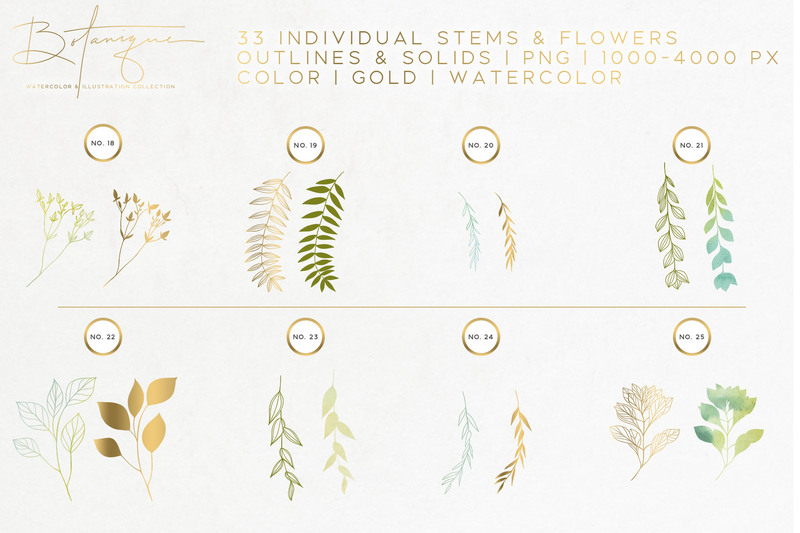 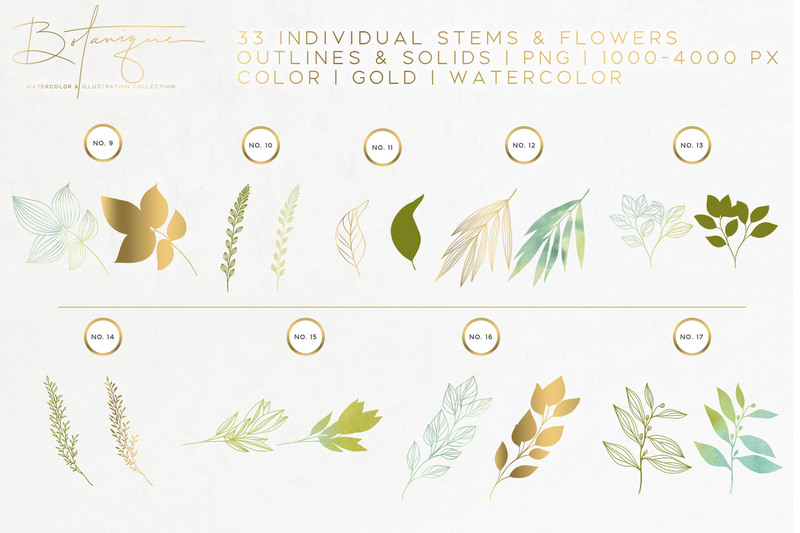 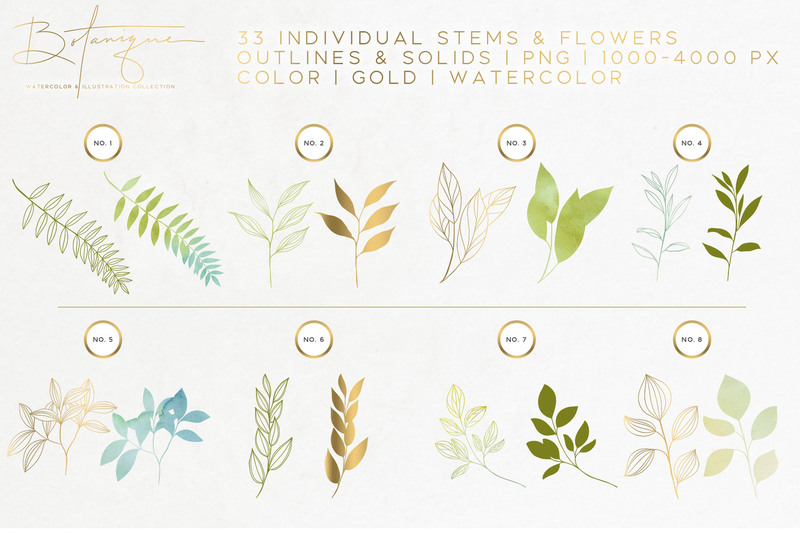 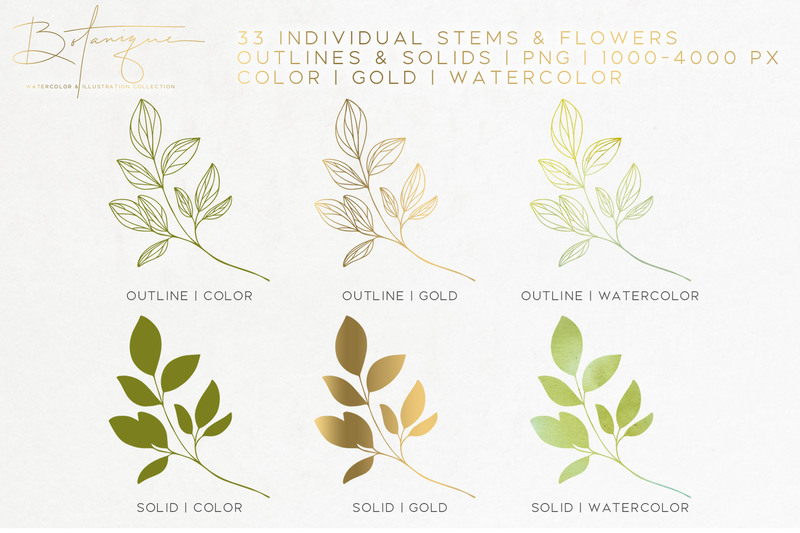 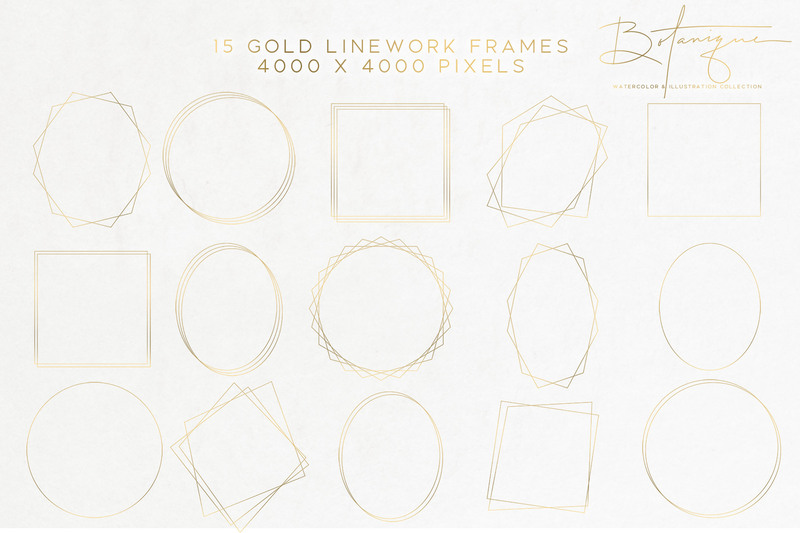 Each individual flower and leaf stem are provided in outline form as well as a solid in gold, watercolor, and solid color (the color can easily be changed in your graphic program with a color overlay). 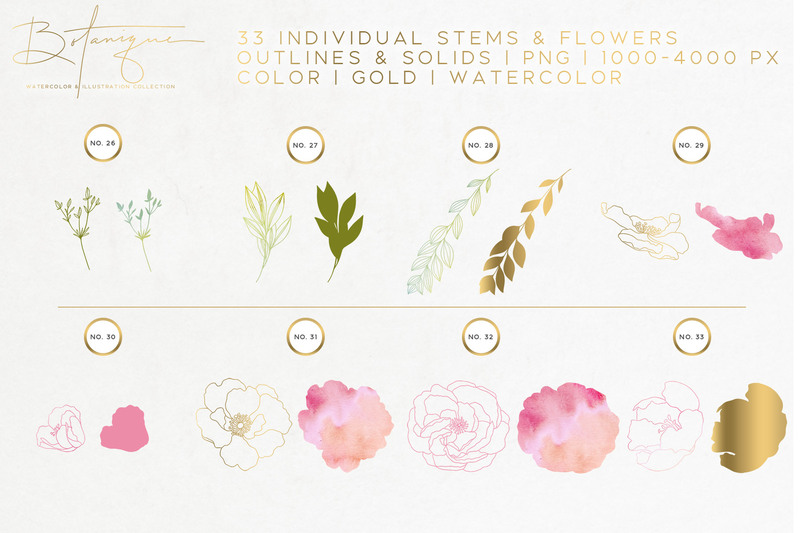 Combine and layer the different elements to create your own beautiful floral designs. 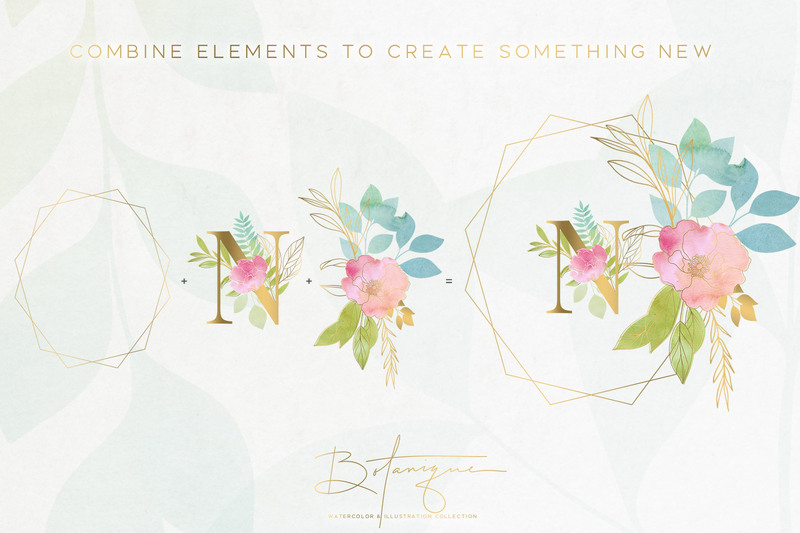 The possibilities are almost endless!